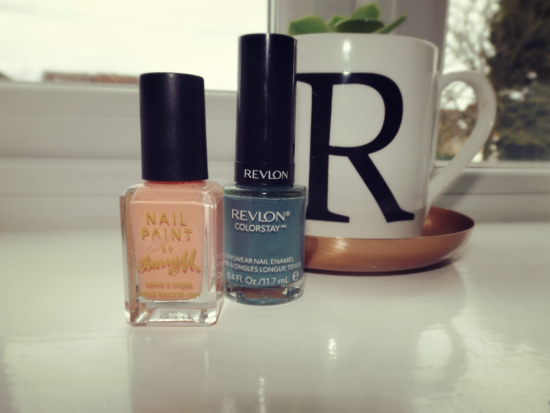 I'm always full of jealousy when I see other people's blog posts with amazing nail art, I can just about paint my nails without them smudging! 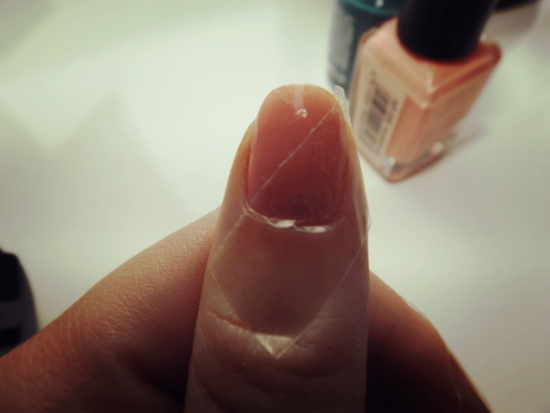 However, I've always wanted to have a go and so I tried out some two tone diagonal nails, if I can manage this, anybody can!! Have you tried any nail art? Beautiful nail art Rosanna! That color combo is amazing!! Such a pretty design, I love the retro vibe of it :) I hope you're having a wonderful day and an amazing weekend ahead; thanks so much for sharing, beautiful! Love this design and the colours you've picked go great together! I love doing nail art it's always a bit trial and error but when I get something right I'm always so pleased - it's the little things haha! I barely have the patience to apply more than one coat of color on my nails, let alone do nail art. But it sure looks pretty and seems easy enough to maybe give it a go. So beautiful. Love this colors. Kisses! This looks amazing and so simple too! Such a perfect DIY thank you for sharing! would we follow each other on gfc and G+? 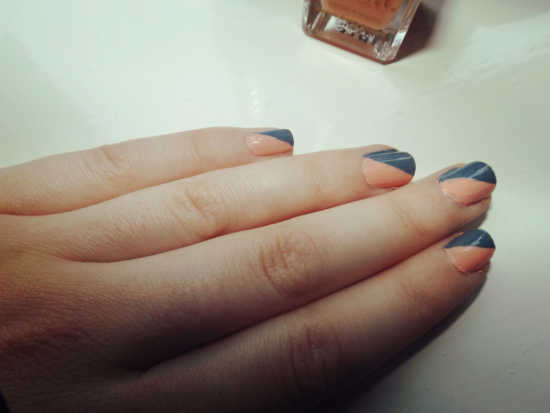 So talented, I can only use one color, great tutorial :) Bonjour from FRANCE, Sand. You are not alone, it happens also to me I'm jealous when I see other people's nailart :) Therefore I'm happy you share this nailart here, hopefully I will be able to do it as it looks so cool! No better feeling than being able to do your own nails at home. Nice post. I haven't experimented with nail art before but this seems like an easy one. Thanks for the post. Wow amazing nails! And looks so easy! Love this idea! And so easy! Thanks so much for sharing this with us! gorgeous tutorial. I always do my nails so im gonna try this out. so simple and pretty. 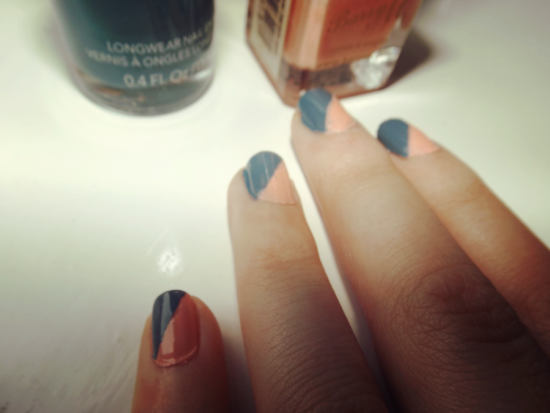 I loved the nail art tip :D that two colors look amazing together! What a great nail art idea, we love intricate nail styles and when they're easy, even better! We have to try this out soon!